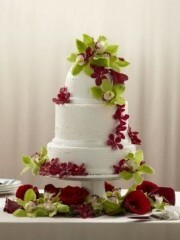 The Elegant Orchid Cake Decoration will make your cake look absolutely stunning on your wedding day. 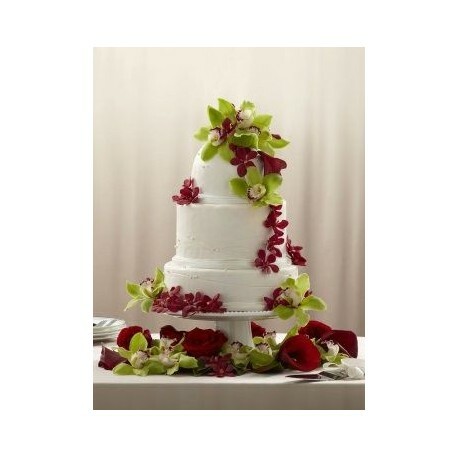 Red mini calla lilies, roses and mokara orchids are brought together with green cymbidium orchids and lush greens and then strategically placed on the cake to create an exceptional look. Approx. 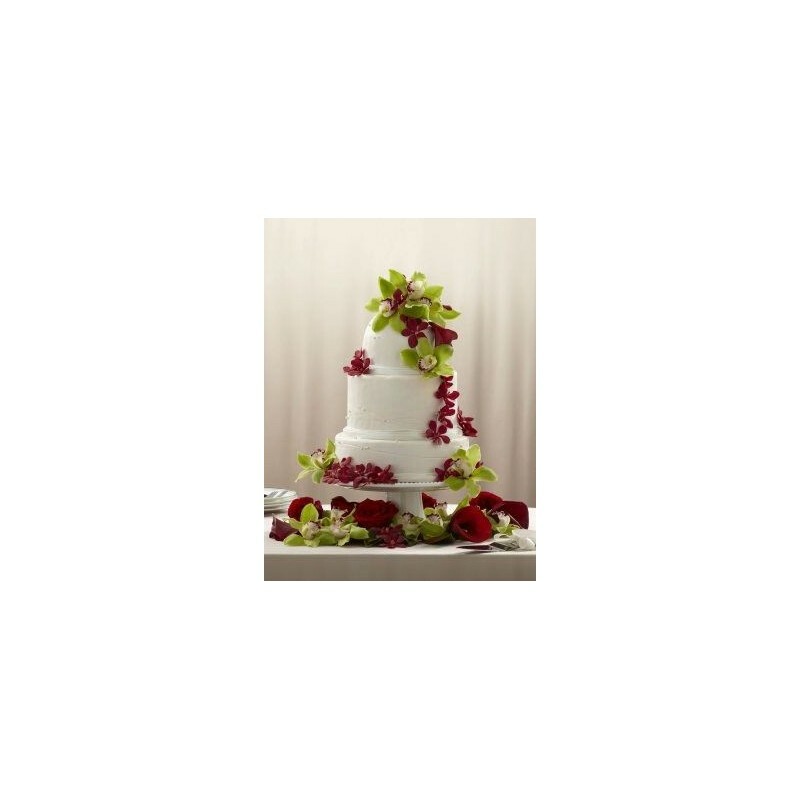 21"H x 18"W. Fits a 3-tiered cake standing approx. 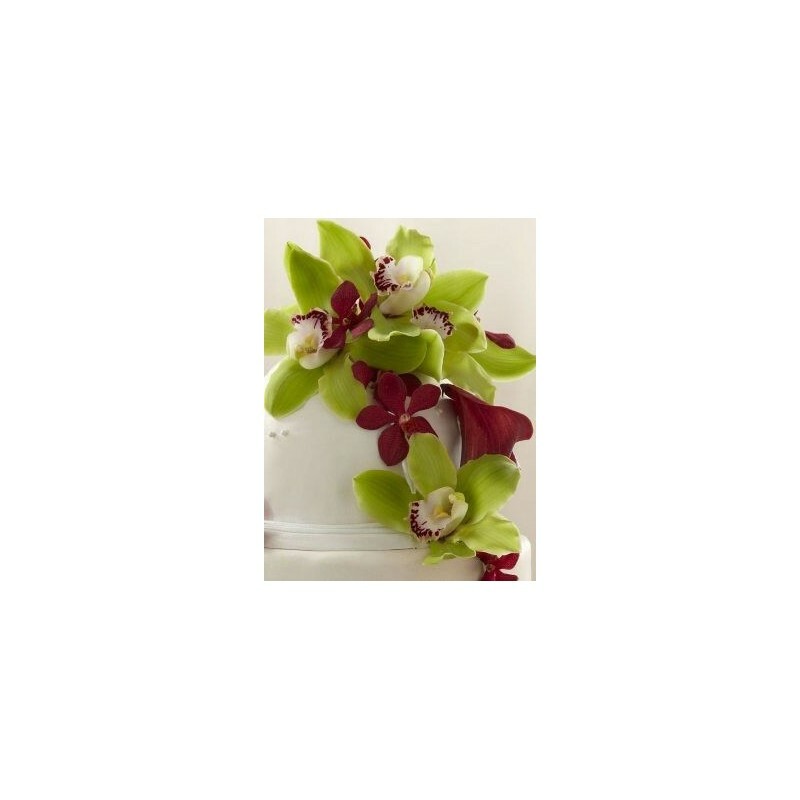 13"H x 10"W.